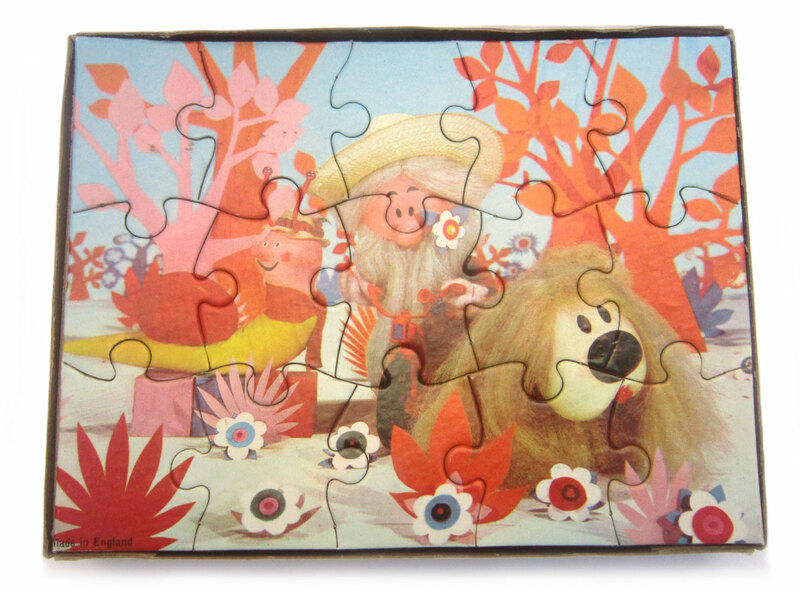 A cool little 15-piece jigsaw from 1967, which admittedly isn't the hardest puzzle you'll ever do, but still a nice original item from the series! 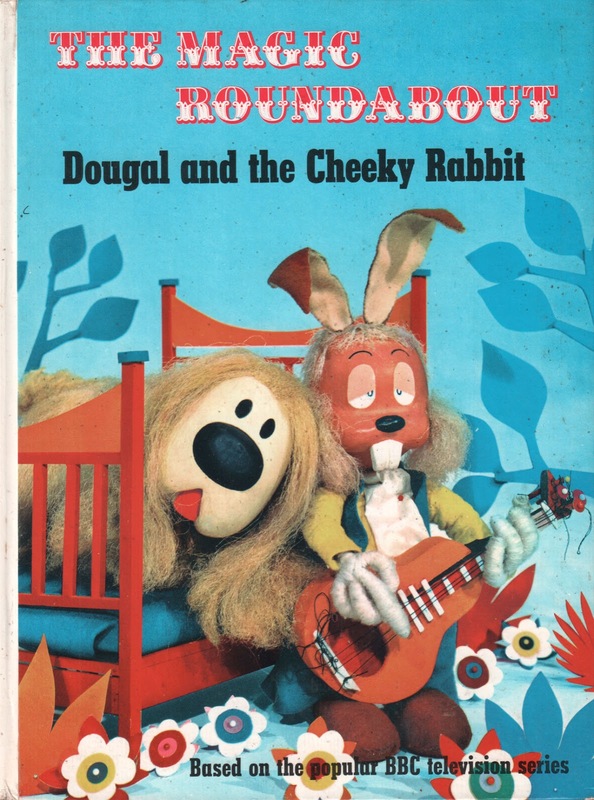 A brilliant book, also from 1967, featuring two of the characters, Dougal and 'the cheeky rabbit' Dylan, who was always either about to fall asleep, or asleep. 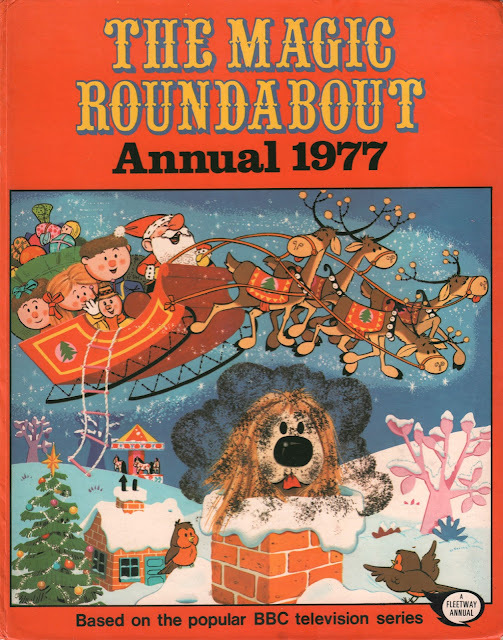 And an annual from the last year the programme was originally broadcast, 1977. The bonkers animation is a cult classic, partially due to some weird conspiracy theories of drug references and rudeness about the French!! Unfortunately most of them aren't true. 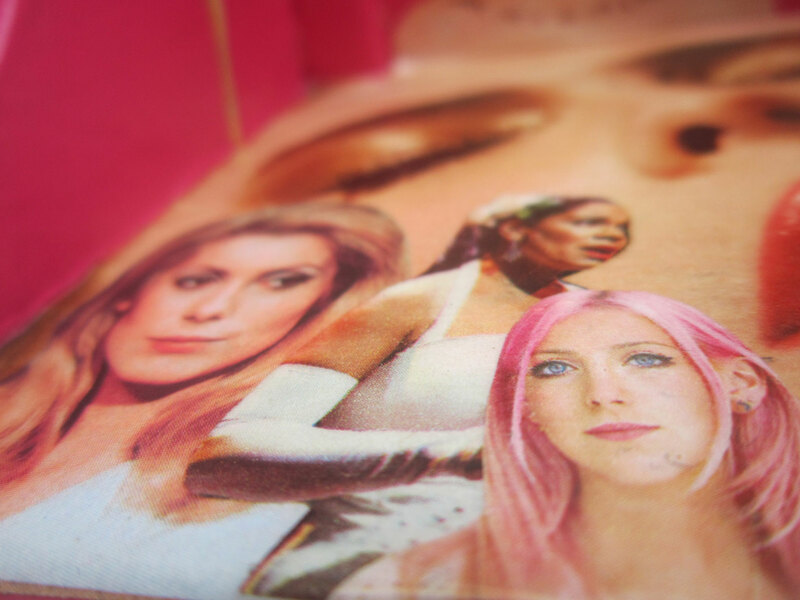 The show was first created in France in 1963, with the title, The Manege Enchanté, and when the BBC were offered it, they thought it would be impossible to translate into English. So they gave the whole lot of films to actress Emma Thompson's Dad, Eric, to have a look at, he watched them all, and came up with his own storylines, often completely different to the original French ones. The whole thing is still crackers though! 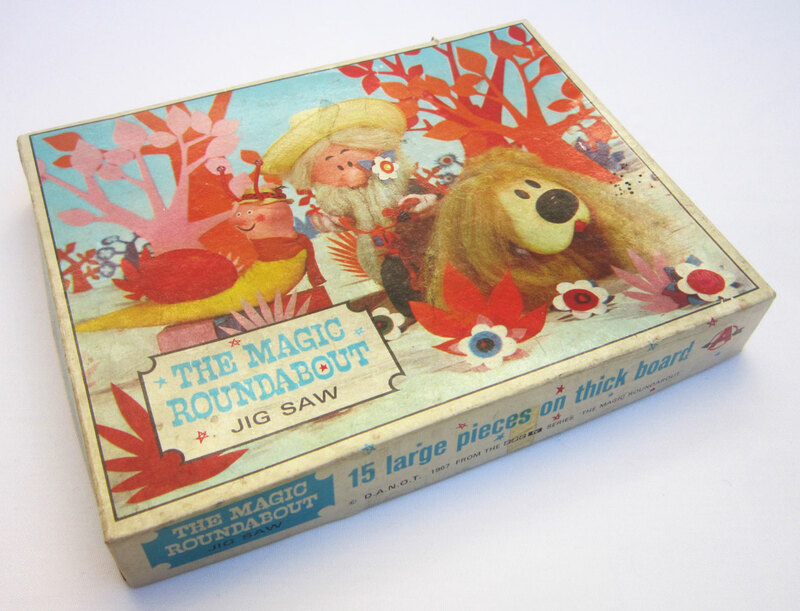 So if you are fan of Dougal, Zebedee, Brian, Ermintrude and the rest then rush along to this Saturday's VINTAGE SOMERSET FAIR at Wells Town Hall in the beautiful city of Wells and find them on my stall!! 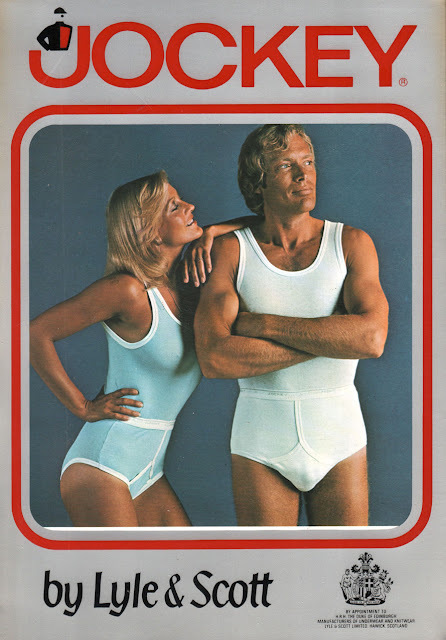 We all know there were insane clothes around at this time, but it's good to know that it also extended to underwear!!! These adverts, for the finest pants ever seen, were displays in a menswear shop. Sitting proudly on one of the counters, who wouldn't be tempted to buy such glorious Y-fronts as these. They are in special stand-up display frames, and not only that, you can actually change the pictures, as there are spare ones!!! 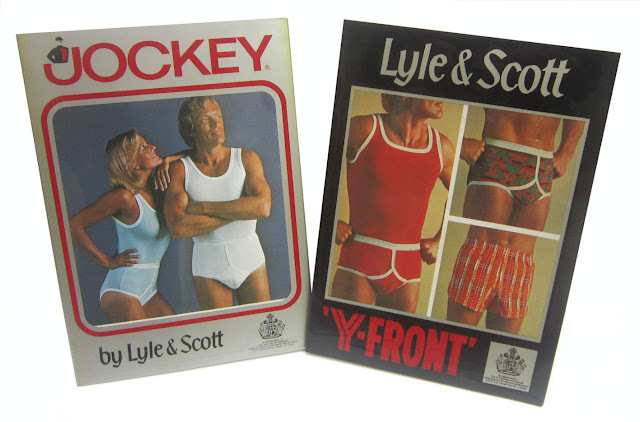 So if you are a Y-front fan, or just love this 70s vibe, then all you have to do is run along to this Saturday's VINTAGE SOMERSET FAIR at Wells Town Hall, and find them on my stall!!! 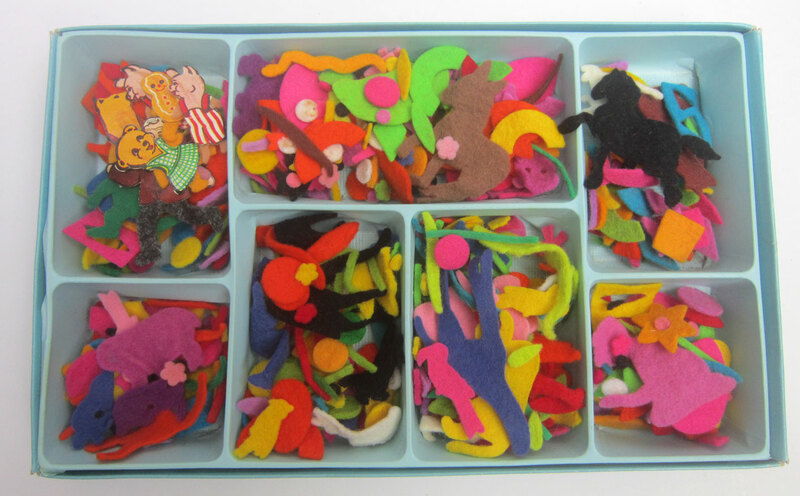 This is a right old retro favourite, the psychedelic kids toy that anyone can play – FUZZY-FELT!!! 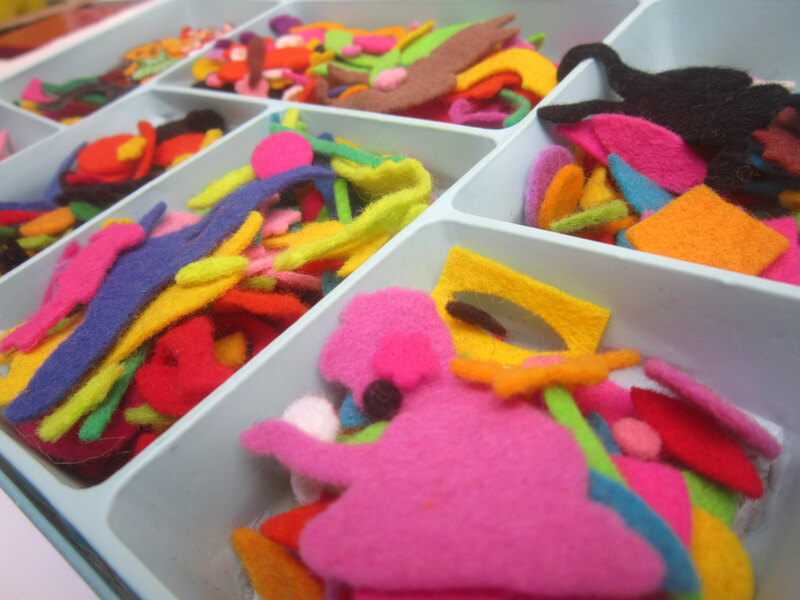 The simple, but effective, idea was to stick little cut-out coloured bits of felt material onto boards, creating pictures. 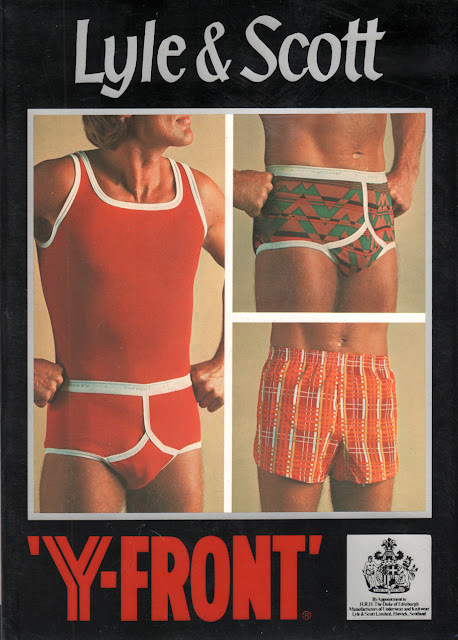 It could be whatever you fancied, animals, people, anything! 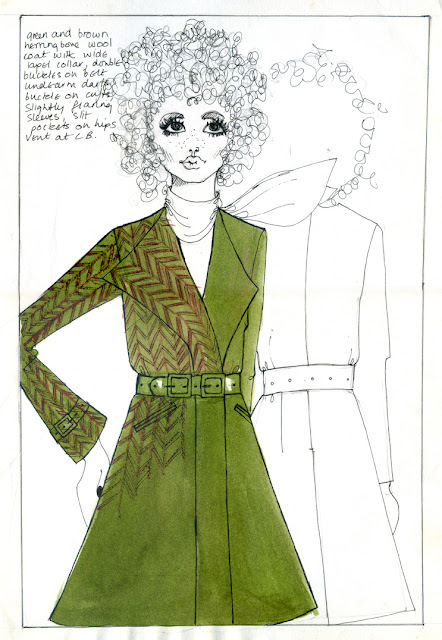 This particular one is the 'Fantasy' set from 1970, which is apt as the whole idea was like a completely crazy made-up world. 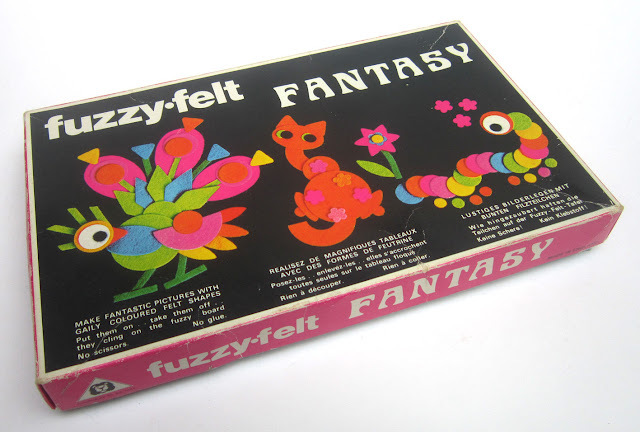 It all feels very '1960s', but in fact the toy first came out in 1950, and can trace its roots back to a rather intriguing story from World War II. 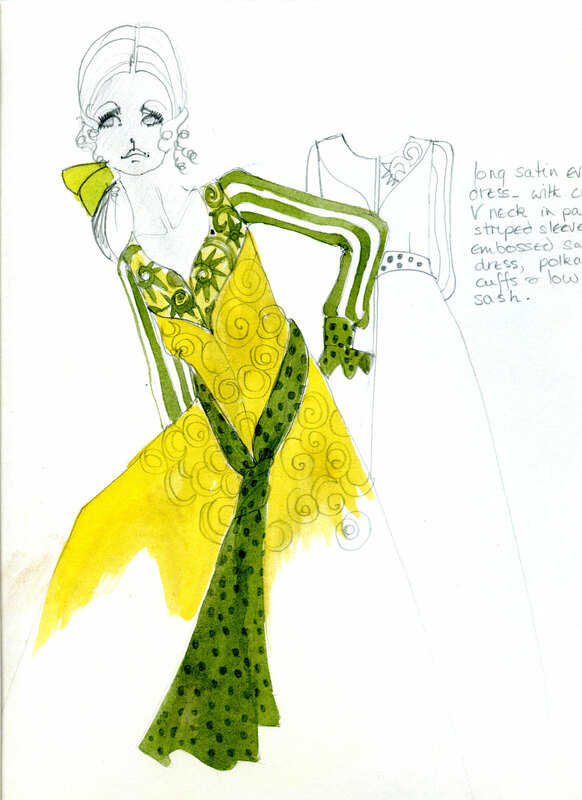 The creator was an American called Lois Allan, who in the 1920s, studied art and fashion in Paris, which must have been amazing. Fast forward to the War, and she was down on her farm in deepest Buckinghamshire doing her bit for the War effort, by producing sealing gaskets for tanks, made out of felt. She also ran a creche for her fellow worker's kids, and noticed that the little 'uns loved playing with the felt off-cuts, and sticking them onto table mats. And hey presto, there was her light bulb moment!! 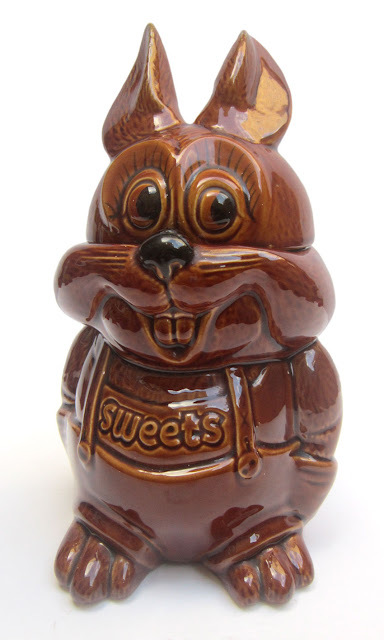 It became a household favourite, and is one of those things that everyone seems to remember from their childhood. 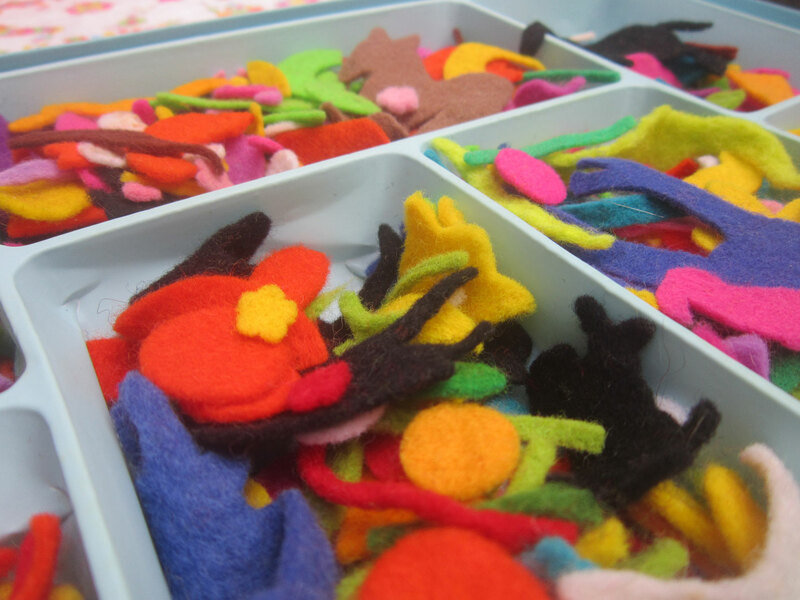 So if you fancy getting creative with bits of felt, surrounded by a warm glow of nostalgia, then lucky you, as this will be on my stall at this Saturday's VINTAGE SOMERSET FAIR!!! Run along to the Wells Town Hall in the beautiful city of Wells and it'll be waiting for you!!! If you were fortunate (or unfortunate!) to have been a kid in the 1970s, you could spend your evenings watching some fantastic telly!! 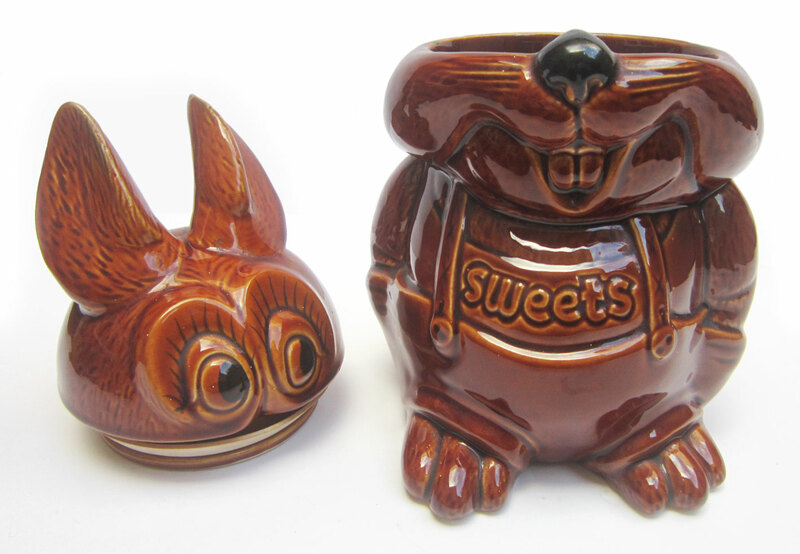 So if you remember them, come along for a nostalgic trip! Or if you're just curious to see what those strange pre-internet people spent their time doing, have a look!!! First up is a KOJAK annual from 1977, he was a tough New York cop played by the magnificent Telly Savalas. Who not only was a great actor, but could knock out a tune as well! He solved crimes, sucked lollipops and had great catchphrases ... "Who loves ya baby", became one of the most iconic phrases in television history. 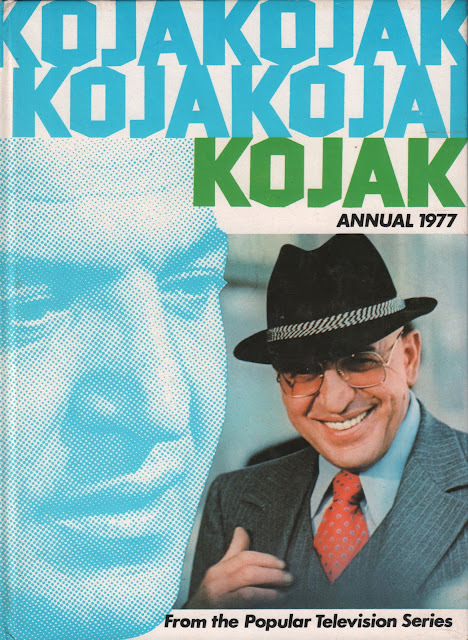 The series ran for a whopping 118 episodes between 1973 and 1978. 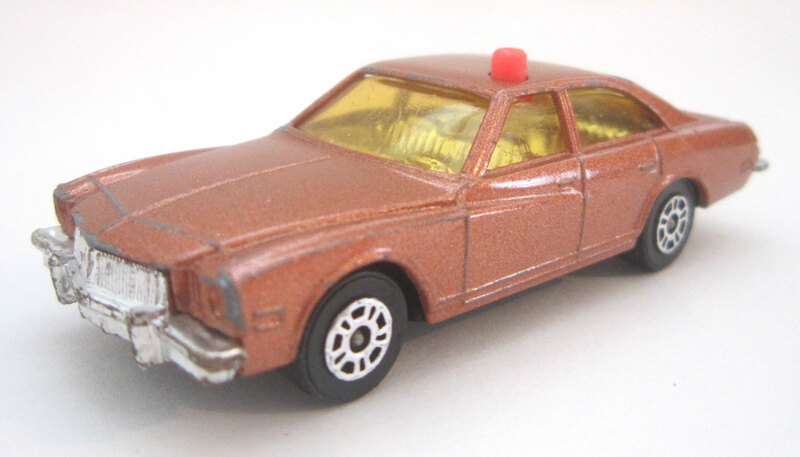 I've also got Corgi Juniors toy car of his Buick Regal, which he got about town in! 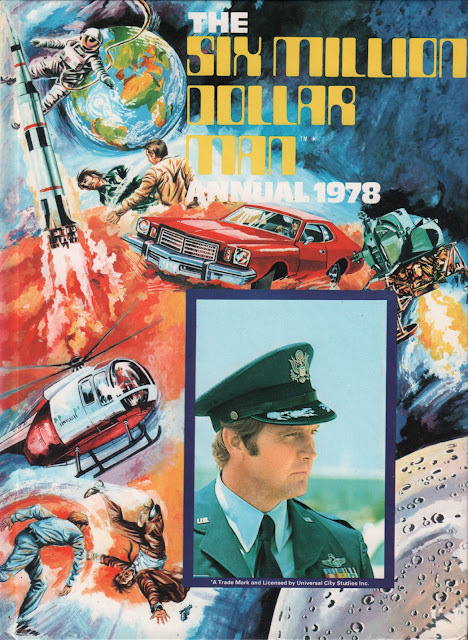 Now a 1978 annual from the gloriously naff, but strangely compelling THE SIX MILLION DOLLAR MAN! Lee Majors starred as Steve Austin, who after being seriously wounded in a military test flight, was rebuilt into a 'bionic man'. Obviously at a cost of $6 million! He would now jump around, run fast, see things through his bionic eye, and generally catch baddies, all with a weird sound effect going on. Money well spent I guess, and the TV bosses certainly thought so, as it sauntered on to 99 episodes, + 6 TV movies, and a huge array of spin-offs, including The Bionic Woman! 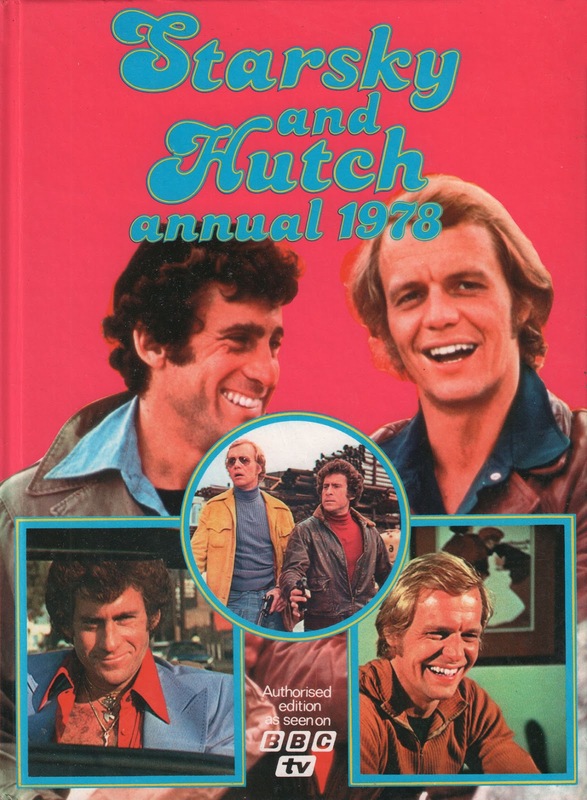 Now my favourite ... the totally brilliant STARSKY & HUTCH. Which featured the dynamic duo of David Soul and Paul Michael Glaser as a pair of Californian cops. They whizzed around in a fabulous red Ford Gran Torino car (see below! ), and just looked so cool! The series ran from 1975 to 1979 for 93 fantastic episodes, as the tough but stylish lads got on the nerves of their boss and hung out with Huggy Bear, their impossibly dressed informant! Now check out my original, slightly bashed, but much-loved, car from the series! You can find all these goodies at the VINTAGE SOMERSET FAIR this Saturday!! All you have to do is run along to Wells Town Hall in the wonderful city of Wells and you'll find them on my stall. The countdown begins until next Saturday's fair at Wells Town Hall!!!! 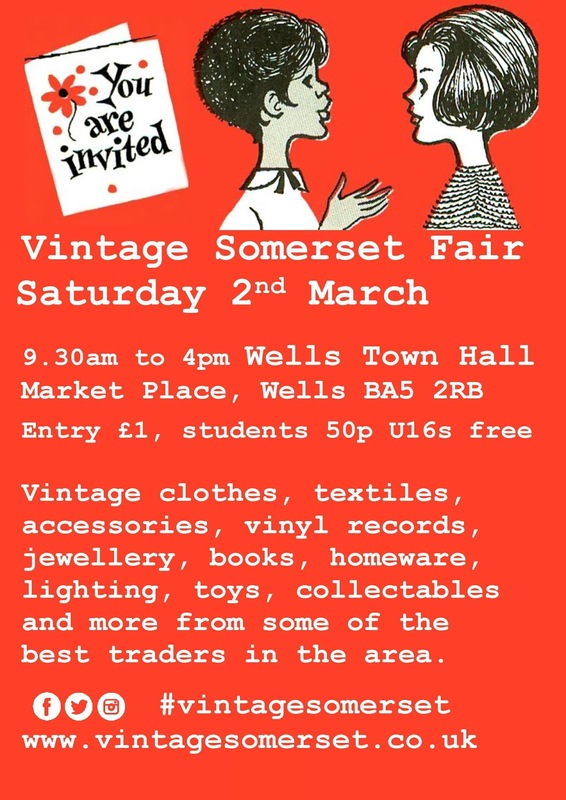 Keep the 2nd March clear, and rush down to the wonderful city of Wells for a vintage extravaganza! 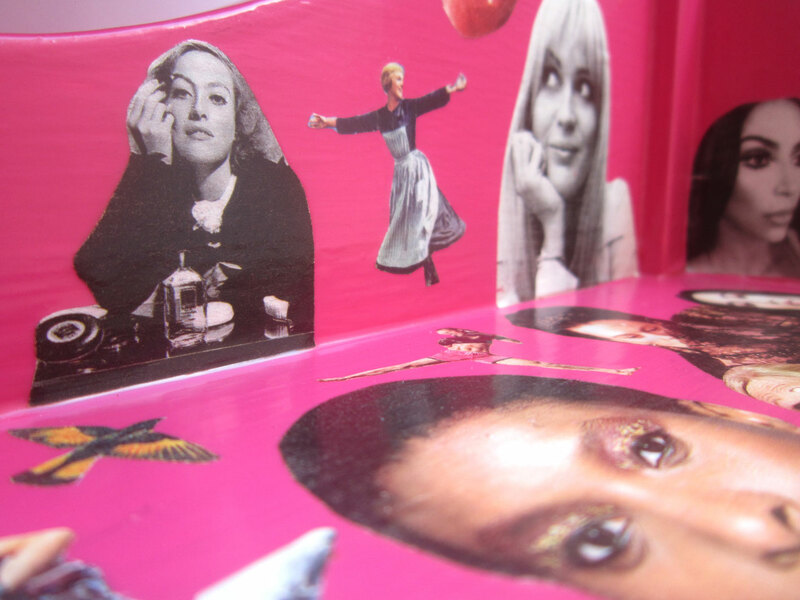 I'll be blogging this week about some of the goodies I'll be bringing along, so stayed tuned! Not long now until the big day!!!! Tomorrow I'll be at this splendid fair in the Pavilion Theatre, near the seafront at Bournemouth. 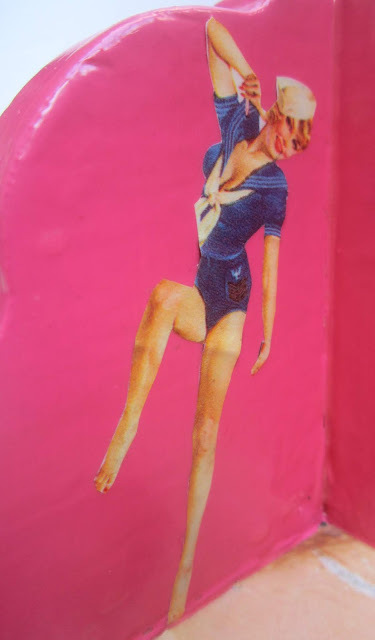 See you there for a vintage extravaganza of clothes, homeware, make-overs and amazing tea and cakes!! An incredible 1960s fashion portfolio project! 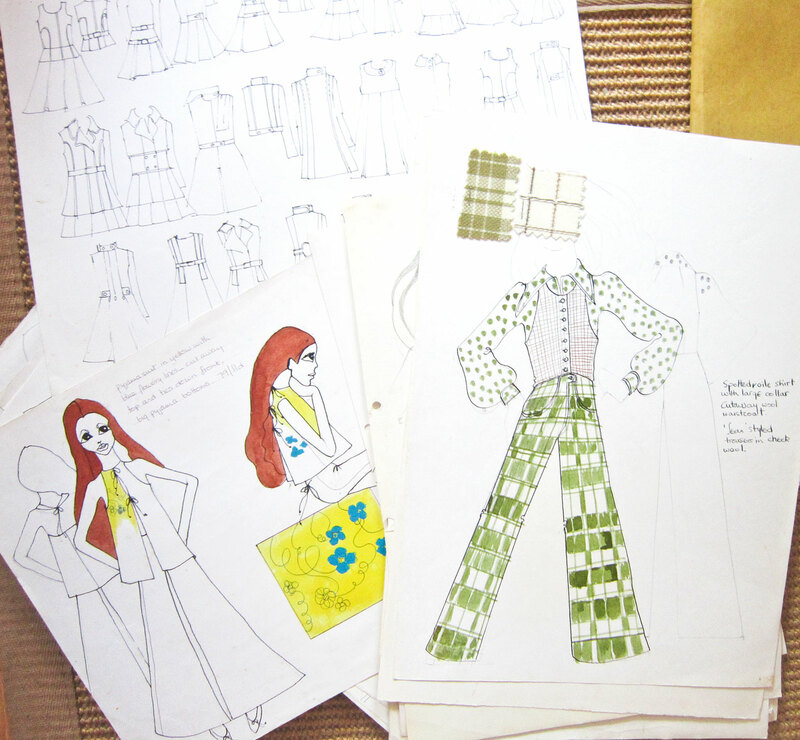 It contains a wealth of designs and ideas created by a student at the West Sussex College of Art in 1968. 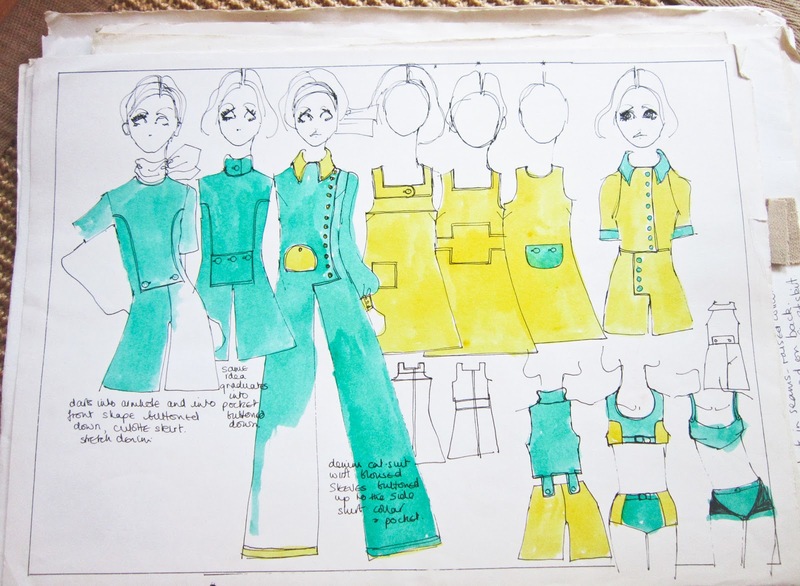 Not only can you marvel at the incredibly groovy fashions of the day, but if you are a fashion designer yourself, these could actually be an inspiration for your very own designs today. 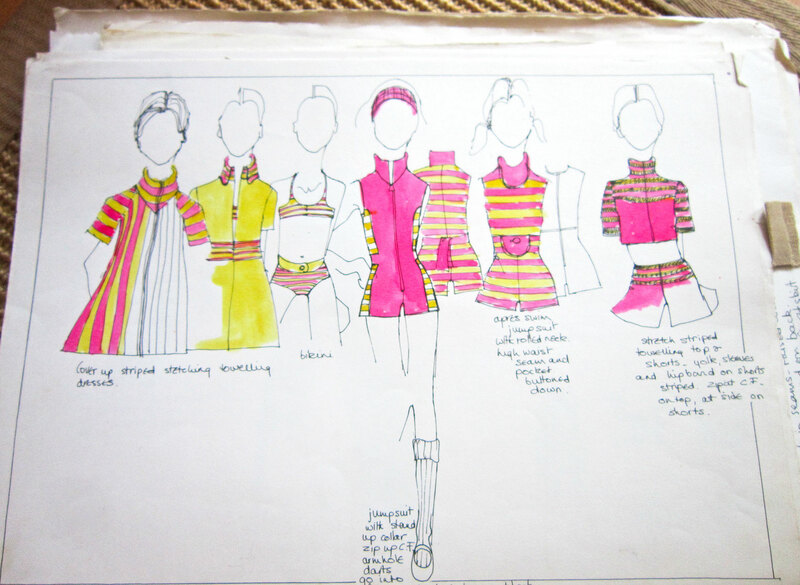 Someone could even make the dresses and clothes from the pictures, which would be an amazing thing to do! So if fashion is your passion, run along to LOU LOU'S BOURNEMOUTH VINTAGE FAIR tomorrow!!!! 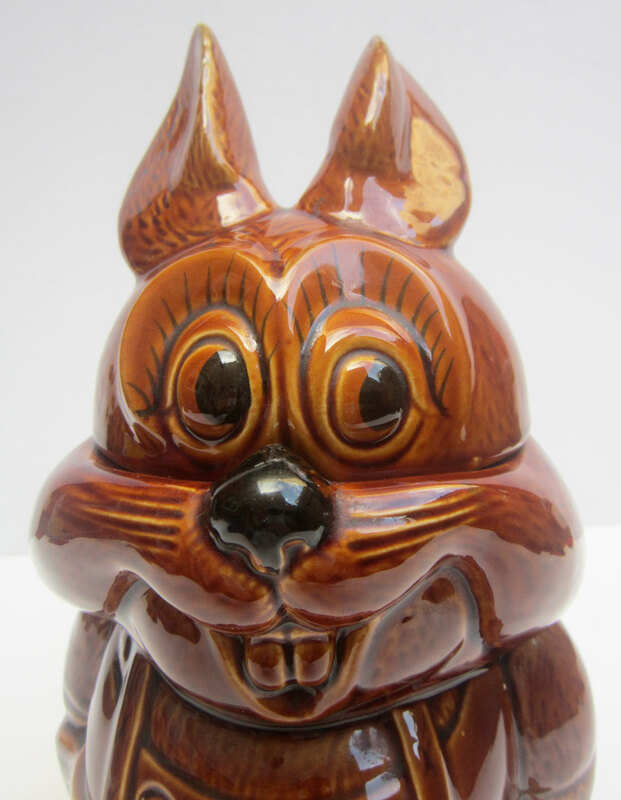 Check out this fantastic cheeky rabbit ... !!! 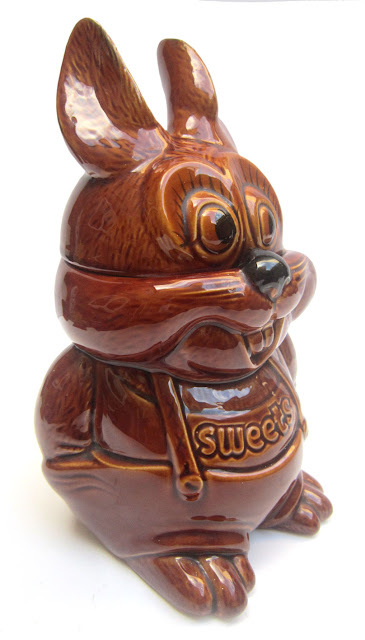 This would make an amazingly cool early Easter present for someone! 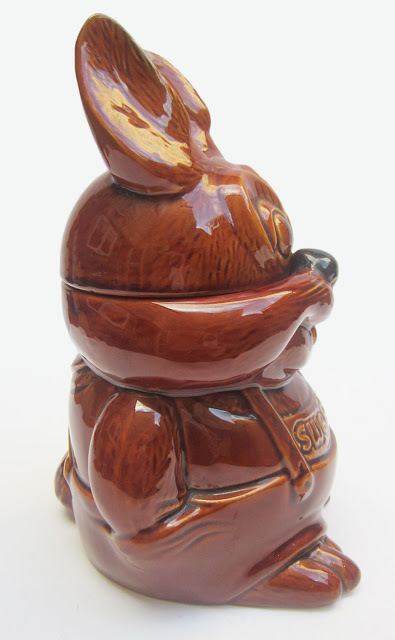 Our ceramic bunny was made in the mad 1970s by the Staffordshire based Price & Kensington Potteries Ltd, who also produced other animals, in what must have been a crazy range. Not only does it look cute, (just check out that face!!! 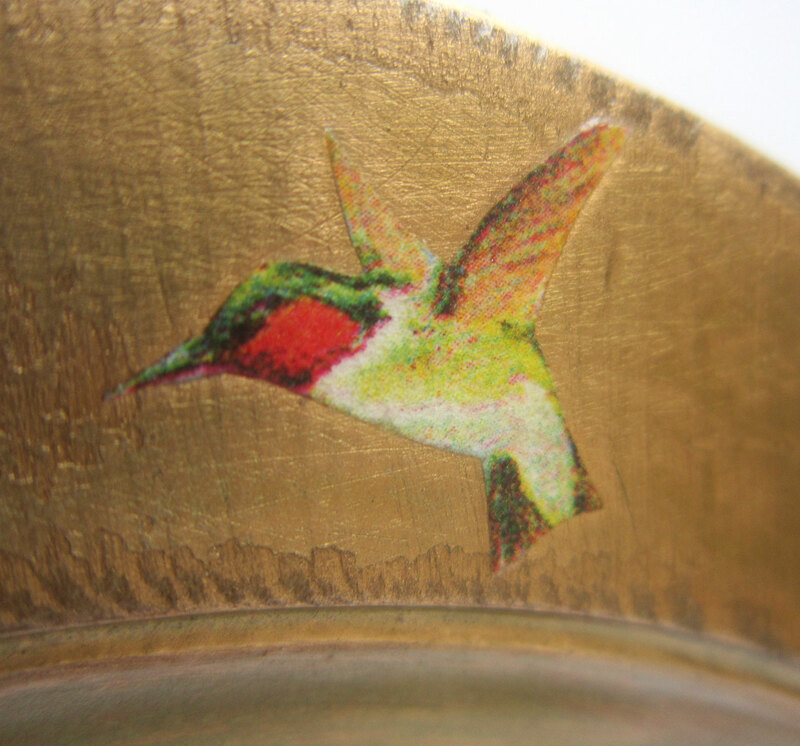 ), but it's also a bit quirky! As it has the word 'Sweets' emblazoned across its dungerees, it means this bunny has a purpose, and rather unceremoniously, it has a detachable head, so you can store all your goodies inside!! 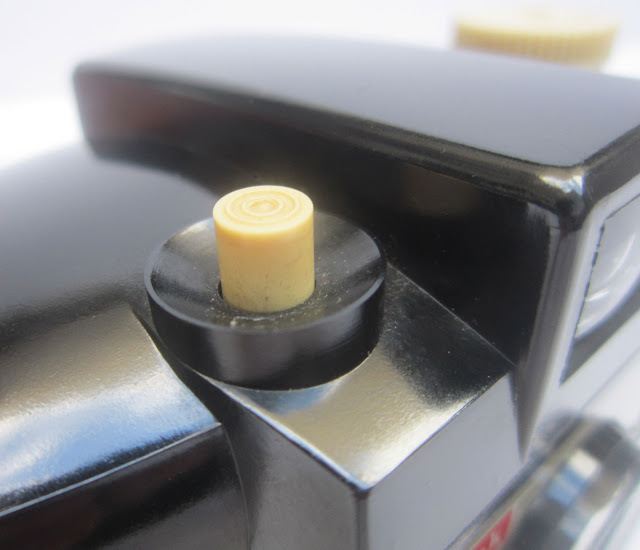 This is a perfect retro item for me, as I love to have cool, funny, but usable pieces to sell. So if you like this beautiful bunny, then hop along to LOU LOU'S BOURNEMOUTH VINTAGE FAIR on Sunday 17th February, at the Pavilion Theatre, and it'll be waiting for you on my stall!! 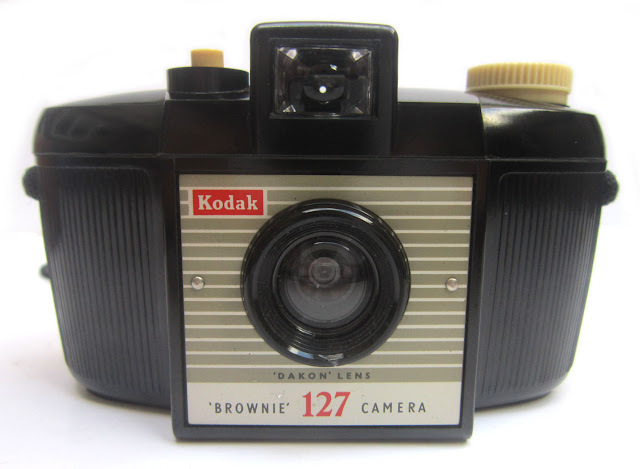 It's the Kodak Brownie 127, which is the Second Model of this design, and came out in April 1959, remaining in production until 1963. 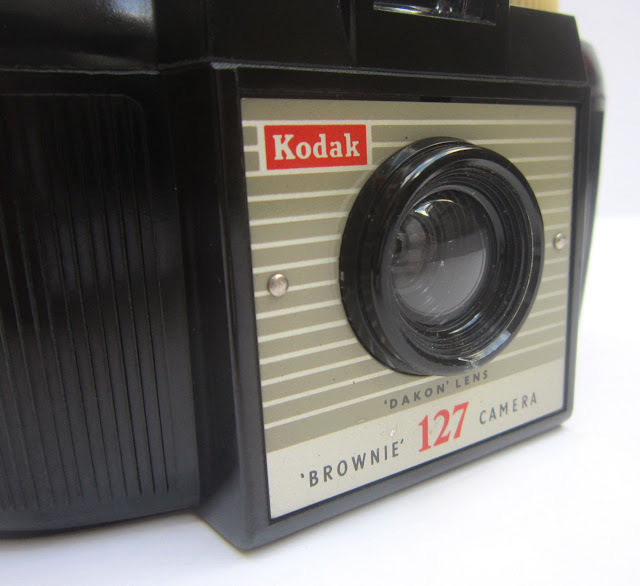 Of course the Brownie name is one of the most famous brands ever, and Kodak only started to change their iconic Box designs in the 1950s. It's in extraordinary condition, the best I've ever seen on a vintage camera, and it also has its original case, which is perfect as well. So this can either take pride of place in someones collection of vintage cameras, or can be taken out and used to take quality vintage-style photos, the choice is yours!! 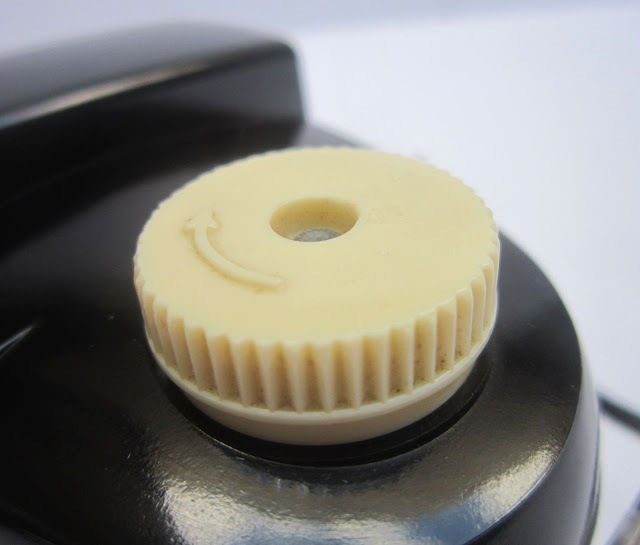 It has a lovely simple, but stylish design, and I love the pale yellow touches to it. 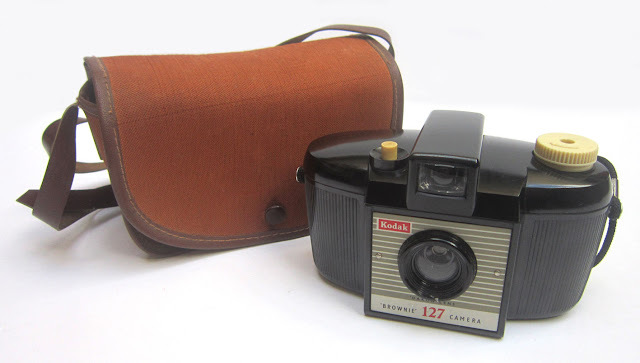 Take a peep at this and other cameras on my stall at LOU LOU'S BOURNEMOUTH VINTAGE FAIR this Sunday, the 17th February at Bournemouth's Pavilion Theatre, and make it snappy! Welcome to my latest upcycling project! 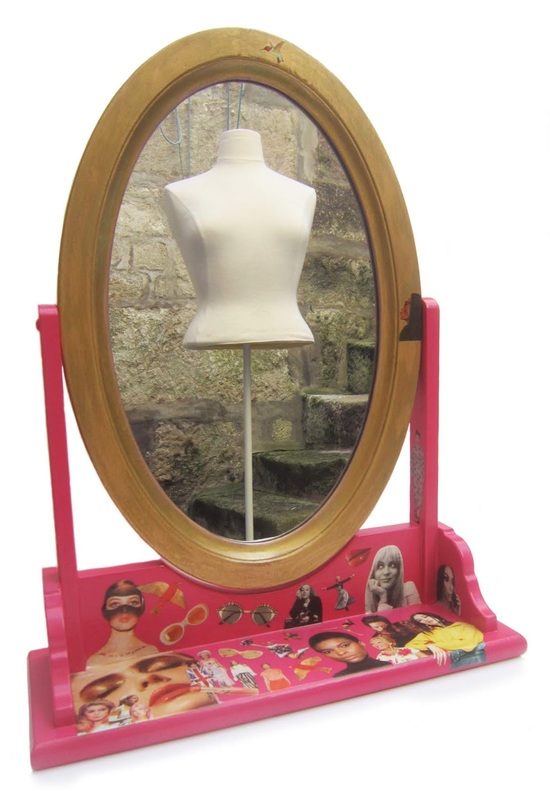 I've transformed a rather mundane looking dressing table mirror into a highly colourful fashion and style statement!! 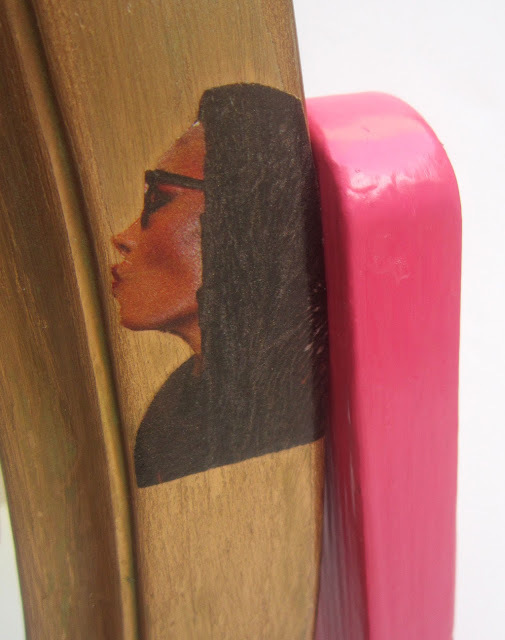 Using a bit of gold spray and bright pink paint, I brightened it all up. 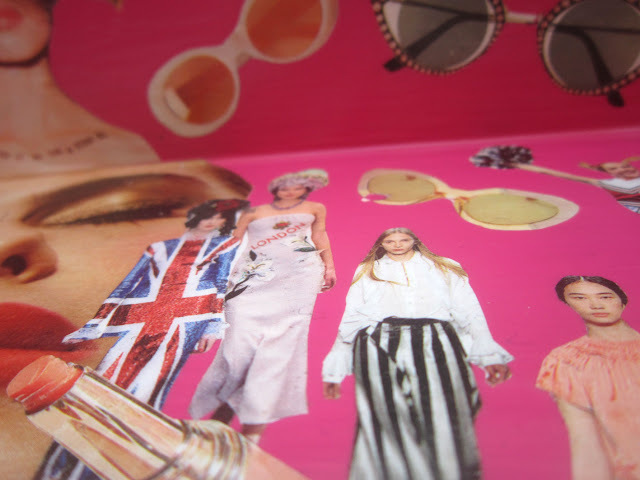 Then added a mixture of the latest fashion pictures and vintage images, that I've cut out from magazines, and kept for projects like these. 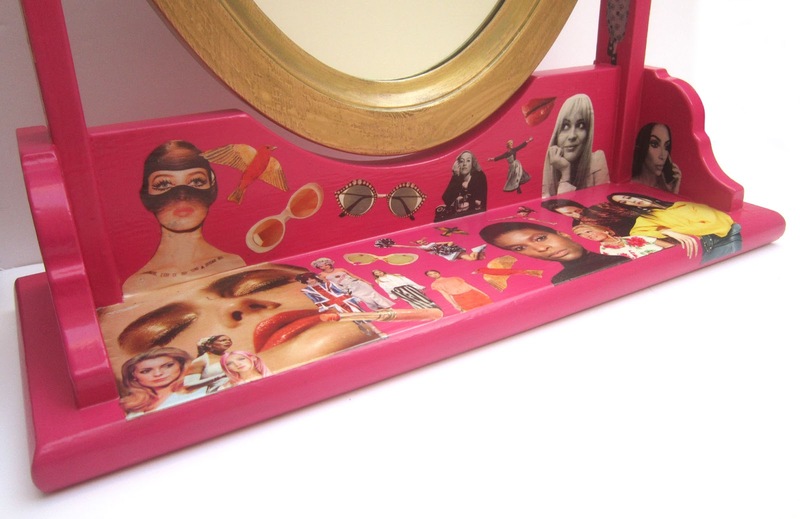 Screen legend Joan Crawford looks at home doing her make-up with this mirror! The wonderful Grace Jones makes an appearance too! Just one of the fantastic vintage images. 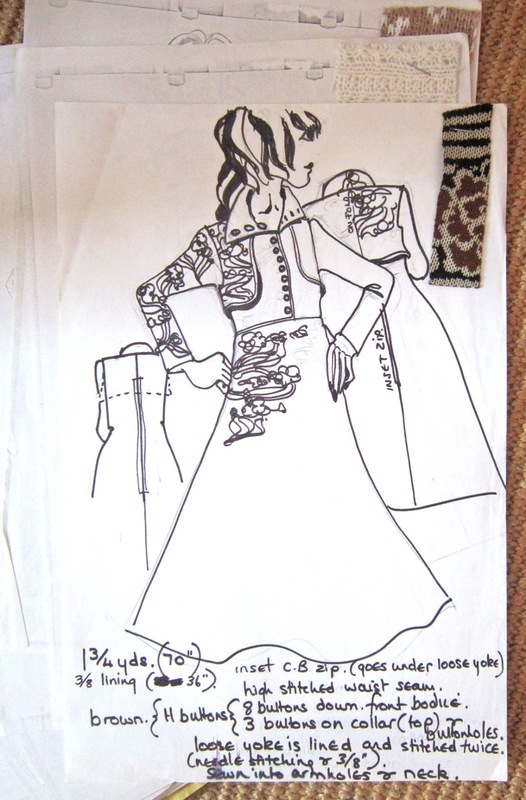 And the contemporary fashion pix. Every bit of space has been used! 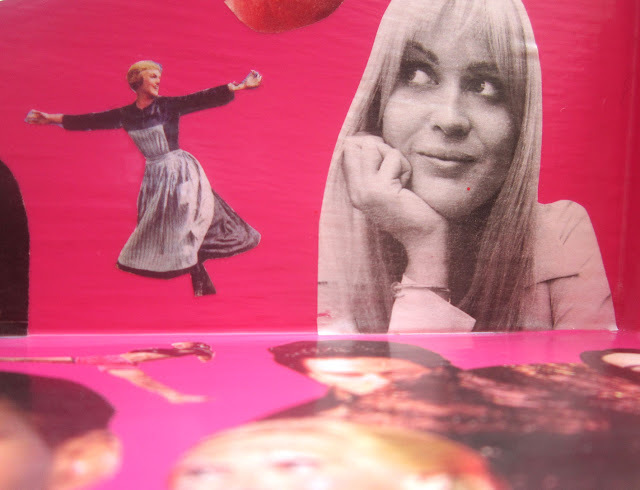 And here is Julie Andrews in full flight! 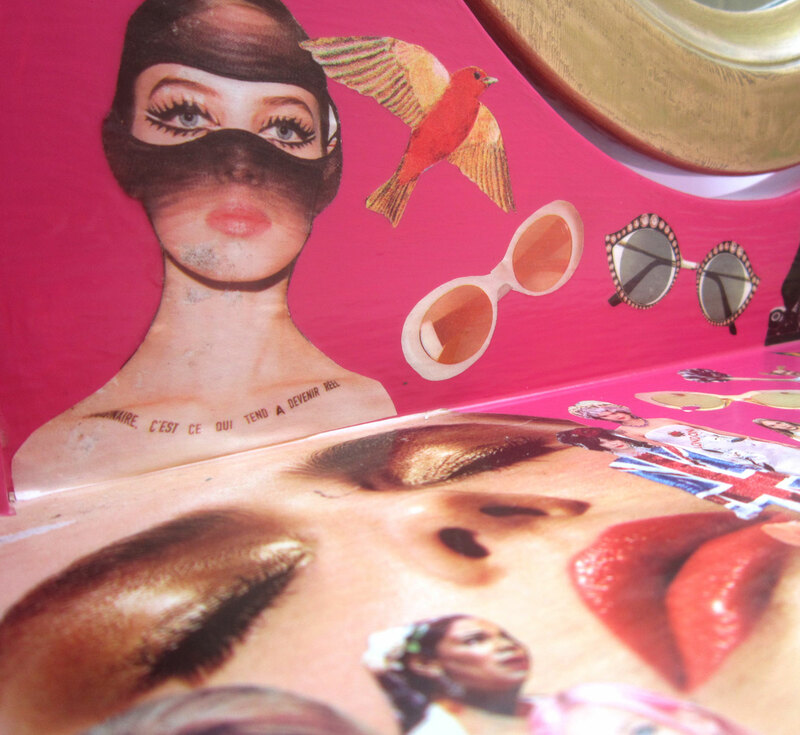 I really like the combination of the old and new pictures and the contrasting colours of gold and pink. 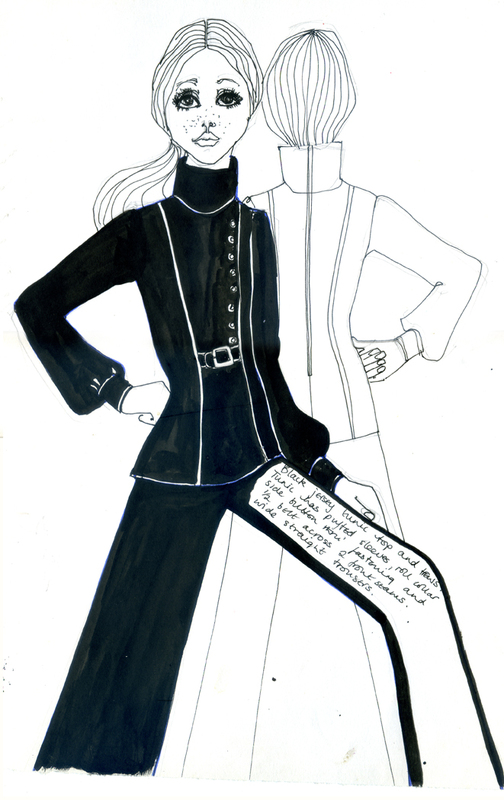 By the way, the reflection in the mirror is of my vintage dressmaker's dummy, which I thought was appropriate for this fashion-inspired piece! As with all individual projects like this, you will own a complete one-off!! 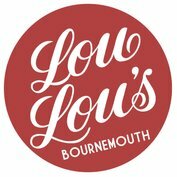 So if you run along to the lovely LOU LOU'S BOURNEMOUTH VINTAGE FAIR at the Pavilion Theatre on Sunday 17th February you will find it on my stall!! !